CONTENTS IN MEMORIAM Jan Kolasa: Karol Wolfke (19152015), doi: 10.7420/pyil2014a, pp. 1116; Jerzy Kranz: Sapere auso (To One Who Dared to Be Wise): On the Fifth Anniversary of the Death of Krzysztof Skubiszewsk, doi: 10.7420/pyil2014b, pp. 1736. LEGAL PERSPECTIVES ON THE UKRAINIAN-RUSSIAN CONFLICT Patrycja Grzebyk: Classification of the Conflict between Ukraine and Russia in International Law (Ius ad Bellum and Ius in Bello), doi: 10.7420/pyil2014c, pp. 3960; Natalia Cwicinskaja: The Legality and Certain Legal Consequences of the Accession of Crimea to the Russian Federation, doi: 10.7420/pyil2014d, pp. 6188; Thomas D. Grant: The Budapest Memorandum of 5 December 1994: Political Engagement or Legal Obligation?, doi: 10.7420/pyil2014e, pp. 89114; René Värk: The Advisory Opinion on Kosovos Declaration of Independence: Hopes, Disappointments and Its Relevance to Crimea, doi: 10.7420/pyil2014f, pp. 115132. GENERAL ARTICLES Koen Lenaerts: EU Values and Constitutional Pluralism: The EU System of Fundamental Rights Protection, doi: 10.7420/pyil2014g, pp. 135160; Aleksandra Gliszczyńska-Grabias: Memory Laws or Memory Loss? Europe in Search of Its Historical Identity through the National and International Law, doi: 10.7420/pyil2014h, pp. 161186; Hanna Kuczyńska: Selection of Defendants before the ICC: Between the Principle of Opportunism and Legalism, doi: 10.7420/pyil2014i, pp. 187224; Magdalena Słok-Wódkowska: National Treatment Rules in EU Regional Trade Agreements, doi: 10.7420/pyil2014j, pp. 225248; Magdalena Silska: Protection of Internally Displaced Persons: An International Legal Obligation?, doi: 10.7420/pyil2014k, pp. 249272. POLISH PRACTICE OF INTERNATIONAL LAW The Opinion by the Legal Advisory Committee to the Minister of Foreign Affairs of the Republic of Poland on the Annexation of the Crimean Peninsula to the Russian Federation in Light of International Law, doi: 10.7420/pyil2014l, pp. 275284; Szymon Zaręba: Treaty Interpretation by the Polish Administrative Courts: A Case Study of the Interpretation of the 1972 Prague Convention, doi: 10.7420/pyil2014m, pp. 285302. BOOK REVIEWS Cezary Mik: Lukasz Gruszczynski, Wouter Werner (eds. ), Deference in International Courts and Tribunals: Standard of Review and Margin of Appreciation, pp. 305308; Bartłomiej Krzan: Vesselin Popovski, Trudy Fraser (eds. ), The Security Council as Global Legislator, pp. 309312; Bartłomiej Krzan: Robert Kolb, The International Court of Justice, pp. 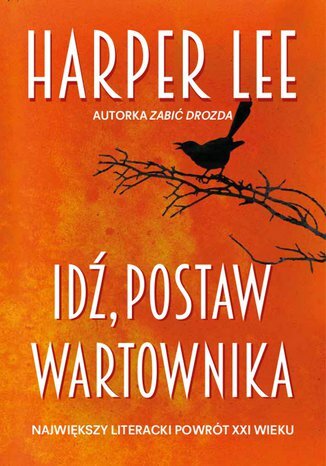 313317; Andrzej Jakubowski: Lilian Richieri Hanania (ed. ), Cultural Diversity in International Law, pp. 318322; Michał Balcerzak: Ryan Goodman, Derek Jinks, Socializing States: Promoting Human Rights through International Law, pp. 323328. 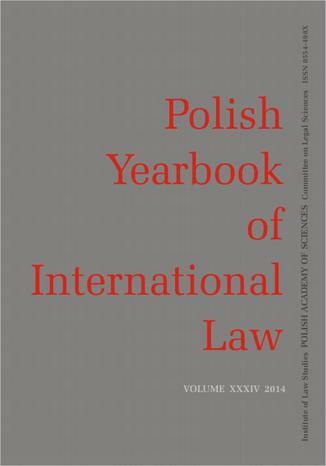 POLISH BIBLIOGRAPHY OF INTERNATIONAL AND EUROPEAN LAW 2014, pp. 329376.